Foreign Minister Lawrence Cannon says the lack of support from Michael Ignatieff for Canada's bid to win a seat on the UN Security Council helped scuttle it, an assertion the Liberal leader called "ridiculous." Foreign Minister Lawrence Cannon says the lack of support from Michael Ignatieff for Canada's bid to win a seat on the United Nations Security Council helped scuttle it, an assertion the Liberal leader called "ridiculous." Canada abruptly dropped its bid for a seat on the council after coming behind Portugal in second ballot voting Tuesday in New York. 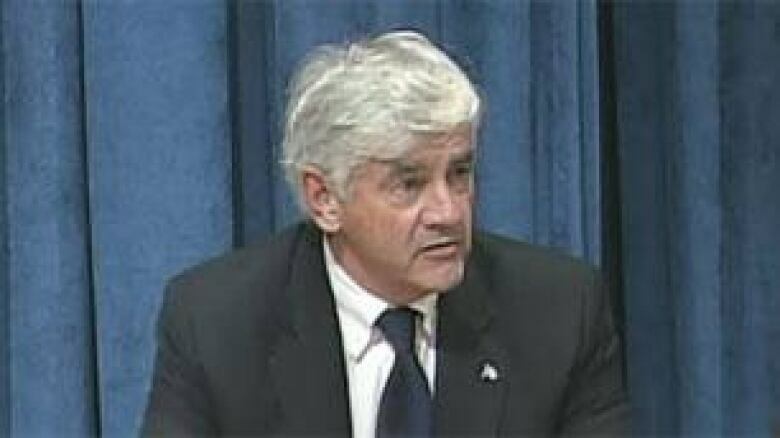 Cannon said the Canadian government will continue to work with its UN partners despite the outcome. Germany won one of two seats up for grabs in the first round of voting earlier Tuesday, with 128 of 191 ballots cast, while Portugal came second with 122 votes and Canada collected 114. "Not being able to speak with one voice as a country had a negative impact on Canada's bid," Cannon said at a press conference after Canada withdrew. "Canada was not united because some saw this as an opportunity to score political points by opposing Canada's candidacy." "[Ignatieff] came out clearly indicating that Canada did not deserve a seat ... and for that, of course, we were extremely disappointed," Cannon said. "I have never seen in the course of the last months any leader of a political party, both in Germany or in Portugal, dismiss their country's candidacy." In previous years, Canada had always spoken with one voice, Cannon said. In the lead-up to the vote, as the merits of the Security Council bid were being debated in the Commons, Ignatieff said he didn't believe Canada had earned the right to sit there. "This is a government that for four years has basically ignored the United Nations and now is suddenly showing up saying, 'Hey, put us on the council,'" he said. "Don't mistake me. I know how important it is for Canada to get a seat on the Security Council, but Canadians have to ask a tough question: 'Has this government earned that place?' We're not convinced it has." At a news conference in Ottawa on Tuesday, Ignatieff called it a "sad and disappointing" as well as "historic day" for Canada because "it's the first time in more than 60 years we failed to secure a seat on an institution that this country helped found.... It's part of the general pattern of disappointing results for Canada on the international stage." 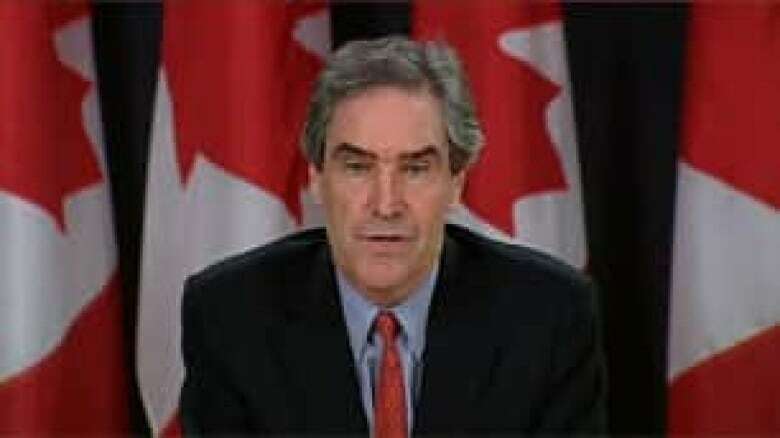 Ignatieff refused to accept blame for losing the seat. "The responsibility for this vote lies squarely and exclusively with the Harper government. Any other proposition is just too ridiculous to entertain," he said. "Don't try this blame game with Canadians." Ignatieff went on to say, "I derive zero pleasure out of this.... Canada deserves a place on the security council." Meanwhile, NDP Foreign Affairs critic Paul Dewar said losing the vote for a seat is a "catastrophe" for Canada's reputation and credibility. "Perhaps more importantly, we're not going to be at the table and, therefore, we can't affect the agenda," Dewar told reporters in Ottawa. "The government can look for people to blame, but the government should look in the mirror and blame itself.... I do lay this at the feet of our prime minister and our foreign affairs minister," he said. "This government has ... formulated a foreign policy based on domestic gain and talking points." In a statement, John Bennett, executive director of the Sierra Club Canada, said, "Canada's unilateral withdrawal from the United Nations' legally binding treaty on climate change [Kyoto Protocol] may have played an important role in Canada's lost bid." John McNee, Canada's UN ambassador, made the surprise announcement that Canada would pull out after its poor showing on the second ballot — 78 to Portugal's 113. A two-thirds majority is needed to win a seat. Do you think the UN is still relevant? Take our survey. It is the first time that Canada has failed in its bid for a Security Council seat. Canada has been on the Security Council six times, roughly once a decade, since the 1940s. The country's last term ended in 2000. Germany and Portugal have also been on the council previously. Canada had campaigned for nine years — since its last term on the council — for a seat. In the final days of Tuesday's bid, Canada wined and dined diplomats, offering them gifts of Canadian beer and maple syrup. Canada even had a Mountie in red serge as a prop flown in so the 192 foreign diplomats who were casting ballots could get a photo with him. However, Cannon dismissed the idea. "I do not in any way see this as a repudiation of Canada's foreign policy," he said. "The principles underlying our foreign policy, such as freedom, democracy, respect for human rights and the rule of law, were the basis of all our decisions. "Some would even say that because of our attachment to those values that we lost a seat on the council. If that's the case, then so be it." Dimitri Soudas, spokesman for Harper, said Ignatieff's earlier comments had "spread like wildfire" to diplomatic missions around the globe. Other factors at play were that the EU and EU-aspiring countries voted as a block for Germany and Portugal, Soudas said. Moreover, some of the commitments made to support Canada did not materialize in the balloting. Cannon rejected the notion that the Harper government's unabashed support for Israel may have cost Canada support from Arab countries. Canada's pullout came less than 24 hours after a diplomatic row resulted in a military plane carrying Defence Minister Peter MacKay and Chief of Defence Staff Gen. Walt Natynczyk being denied permission Monday to land in the United Arab Emirates. That dispute is linked to Canada's refusal to allow the UAE to increase passenger flights to this country. That in turn led to the UAE demanding Canada pull up stakes at its formerly secret military base near Dubai. Soudas said he doubted that the Harper government's refusal to give more landing rights to airlines from the UAE had any bearing on the vote. A senior government official said Canada actually got "a good chunk" of the Arab vote. Three other two-year terms on the UN's most powerful body went uncontested to South Africa, India and Colombia. The five new non-permanent council members replace Austria, Japan, Mexico, Turkey and Uganda, whose terms end on Dec. 31. The five members elected last year — Bosnia, Brazil, Gabon, Lebanon and Nigeria — will remain on the council until the end of 2011. Council members are supposed to be chosen on the basis of their contributions to international peace and security, and all three have highlighted their contributions to UN peacekeeping. Canada made particular mention of its involvement in the war in Afghanistan.